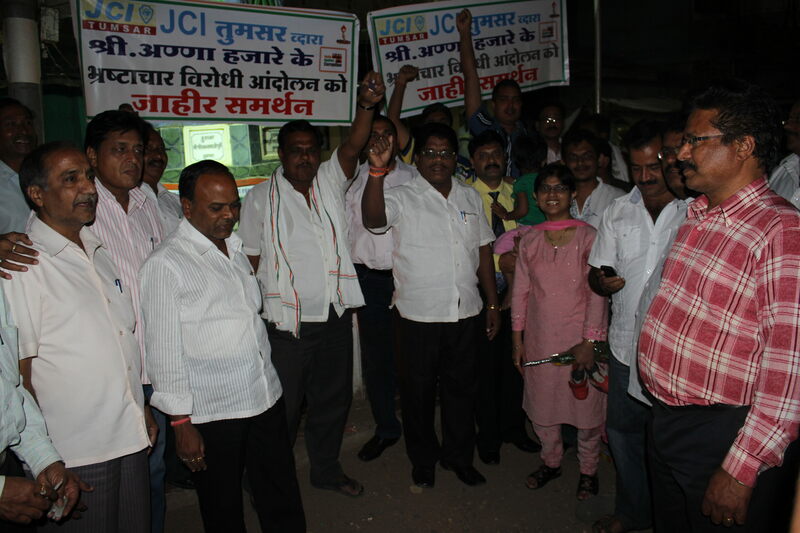 The whole team of JCI Tumsar lighted candle to support Anna Hazare in his fight against corruption. I inaugurated the event by lighting the first candle. It felt proud from within to stand for such a noble cause and awake every Indian to recognize their true potential and fight for their rights. A great move by all the members associated with JCI Tumsar . Jc Anil Sharaf ji was very happy to take a stand in the fight against corruption. The Slogan for this movement was “ Anna Hazare aage badoo hum tumhare saath hai “.